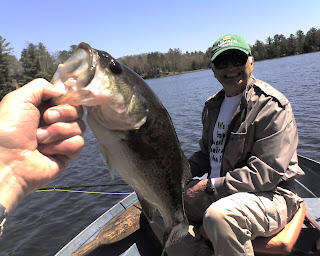 We've got about a dozen blugs, and one keeper bass. Papa caught him on a fly.Fish fry tonight. Another bass, but not big enough to keep.